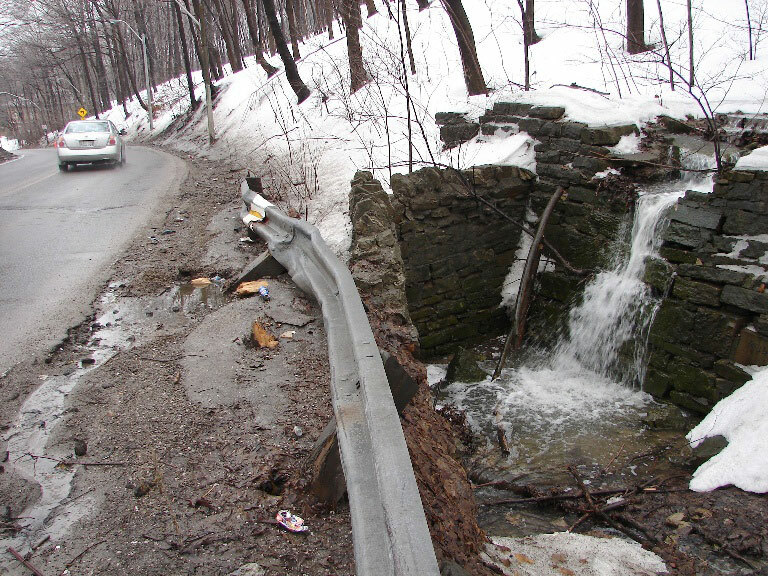 Lower Beckett Falls is a Ribbon Cascade and Falls, with the upper portion being the cascade and the lower section being a partially manmade vertical drop to allow the creek to flow under Beckett Drive. 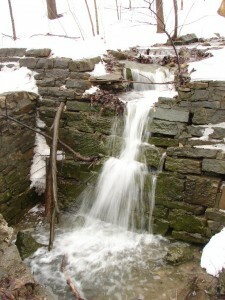 Its height is 3 metres (10 feet) and its crest width is 1.2 metres (4 feet) on the cascade section. 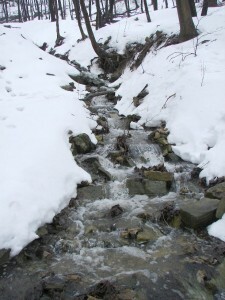 Its flow is prominent during rainfalls and the winter snow melt. Also attached are photos of the creek above Lower Beckett Falls, the roadway beside the falls and Lower Beckett Falls itself in winter. 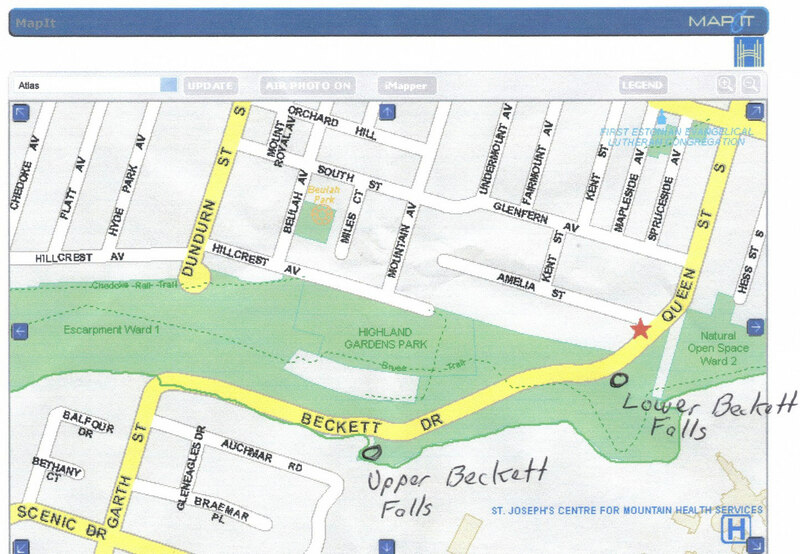 Lower Beckett Falls was “discovered” by Joe Hollick in 2008, and named after Beckett Drive as well as a gentleman named Beckett who owned the surrounding lands in the early 1900s. 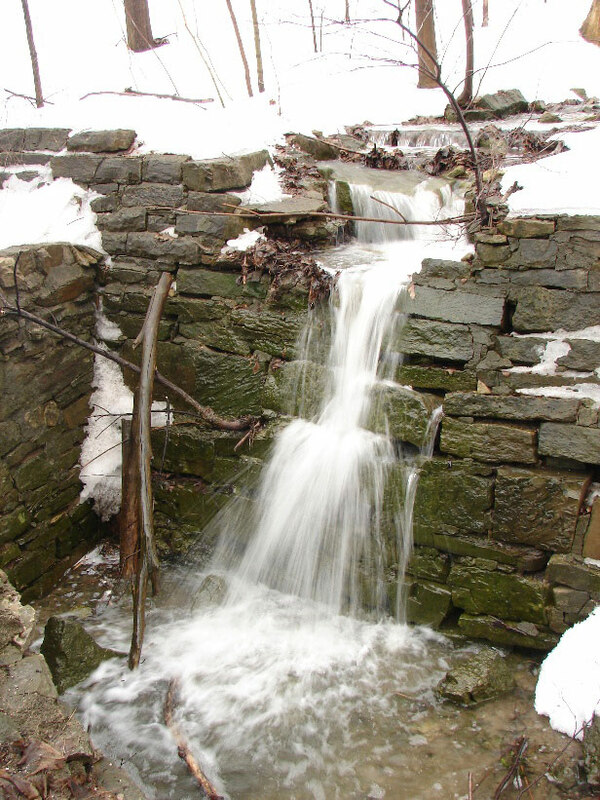 This waterfall is not included in the Hamilton Waterfalls and Cascades Research & Inventory Report dated Nov. 1, 2007 as it was not yet “found” by the waterfall group. It is located on the east side of Beckett Drive 100 metres up from Amelia St. and the end of Queen St. South immediately beside the roadway.